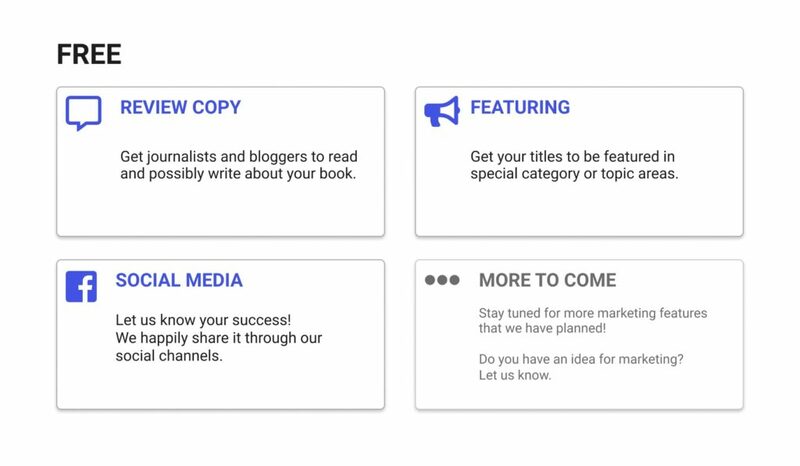 We Now Offer eBook Marketing Options Directly Through PublishDrive! Online reviews are invaluable for indie authors. They strengthen your online brand, create social proof, and help qualify you for promotional newsletters and other third-party advertising services. Together, all of these factors influence consumer behavior. In other words, this helps you sell more books. But if you’re an indie author, how do you get reviews? Some authors reach out to their own mailing lists and offer free copies in exchange for honest reviews, which is effective but time consuming. Others use third-party services to distribute their books, which is also a great option, but it costs money. With PublishDrive’s review copy distribution, we’ll handle all the work for you. This feature includes the distribution of free review copies to readers through Apple Books, Google Play Books, and Kobo. These review copies are also protected, so they’re only available for 28 days and can’t be forwarded to anyone beyond the intended recipient. This is a worry-free and convenient way of sending review copies directly to readers and influencers. Imagine being able to send your books to editorial teams at the top ebook retailers. We’ve made it possible with our new “featured title” option. We’ll recommend your books to editorial teams who are in charge of creating curated lists for their stores. If selected, your ebook will be prominently displayed in the store in special categories, such as New Releases or Editor’s Choice. While we can’t guarantee that your book will be selected, this is a great opportunity for the chance to increase readership. Many authors know that social media is a powerful tool for ebook marketing. But for new authors or those not familiar with social media, it’s difficult to gain traction with a small following. That’s where PublishDrive can help – take advantage of our social reach with this new ebook marketing feature. Whether you have a price promotion or a new book release, we want to hear about it! We’d be happy to spread the word through our social media channels. Here’s how it works: Using the marketing feature platform, send us a short description of what you’d like to promote and why. We can’t guarantee that every submission will be featured, but we’ll carefully review the requests one by one and select some of the best. Stay tuned for more marketing features that we have planned! We’re always seeking new ways of helping indie authors succeed. Have an idea for a marketing feature? Feel free to reach out! You can contact us directly through the new marketing platform to submit your recommendations and ideas.